Play Faust™ online for free now! Watch out! Our Online Casino is the devil's work 😈! But don’t worry, we are referring to the slot machine Faust where you can play for devilishly large Twist winnings! This Novoline game is a drama that might be very profitable when it comes to Twists. You can often play this slot with stunningly designed symbols free in our Casino! 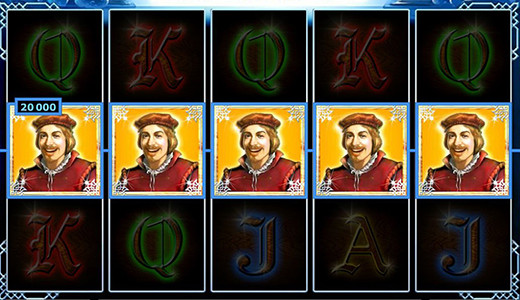 We believe that Johann Wolfgang von Goethe, creator of the iconic tragedy Faust with Mephisto as a leading character, might have been an admirer of this slot! To be able to really play Faust online you should cast an eye over the rules of this Novoline slot machine. A little tip from us before we start: you can find a few videos about this slot on the web that tell you about bonus symbols, winning symbols, the Wild symbol and the Scatter! Faust is a slot about the famous drama by Goethe. The Novoline game features five reels and up to ten win lines. Your aim at Faust is to line up five matching symbols side by side without interruption by other symbols along one of the win lines. The winning patterns start on the left side of the reels and continue to the right. At least three Scatter symbols (Mephisto), which might land in any position on the reels, trigger ten Free Games (free bonus rounds) with a special expanding symbol that you can play free of charge. Does Faust online come with Free Games? Absolutely! Mephisto (Scatter) is your bonus accomplice in Faust: he grants you ten Free Games if you get his symbol at least three times regardless of their position on the reels. The Free Games in this slot adopt the bet and number of lines from your last regular game. Prior to the Free Games a symbol, for example Gretchen, will be selected randomly. Depending on which symbol was selected, it has to land two or three times (see Paytable) in any reel position to trigger the bonus feature in Novoline Faust: the symbol expands to the remaining reel positions after regular line wins and therefore increases your winnings. Playing online is sheer excitement! 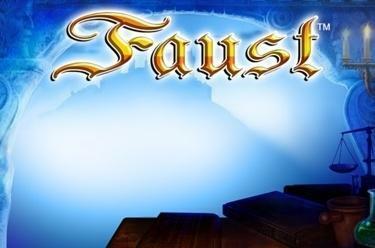 To play the famous drama Faust online is one of the most gripping adventures you can have in a casino! Goethe's Faust takes the reader to medieval Germany. The story about Mephisto (the devil), Dr Heinrich Faust and Gretchen was only published after Goethe's death and is a crowd pleaser to this day. It doesn't come as a surprise then that the online version of the eponymous game has already joined the ranks of the biggest Novoline classics. The slot's gameplay is exceptional and the chance to land large winnings in Faust online is much greater than just another bonus! Listen up, gamers: the devil reigns in Novoline Faust & Co! Casino games from Novoline often tell great stories, regardless of whether you play in play-money mode like at GameTwist or in real-money versions. It is hardly surprising that you can play more games than Faust online in our Casino: Mephisto haunts the reels of other slots as well, such as Firestarter, and grants you thrilling Twist wins with a little luck! Because we at GameTwist specialise in Novomatic casino games, many more online slots that have caused a stir around the world are available! (Book of Ra) is a classic example. At this thrilling slot machine you embark on a hunt for Egyptian treasures. What's more, we offer fruit slots with great chances of winning and features! Maybe you have already heard of the Novoline slot Sizzling Hot or Fruits’n Sevens, a game where you can hit the jackpot with a little luck! Novomatic is also responsible for some of the most cutting-edge slot machines that feature cult movies (highly recommended: From Dusk Till Dawn!) or music stars (Hardwell)! And we have some good news for aficionados of casino classics: different versions of Roulette, Blackjack and Poker are also available (also from Novoline). Here are some more game hits from our Online Casino at a glance: Lord of the Ocean, Dolphin’s Pearl, Ultra Hot, Amazing Stars, Columbus deluxe, Garden of Riches, Fruits’n Sevens, Book of Ra Jackpot and Golden Sevens. Registering at GameTwist comes with another benefit for gamers. You can take part in many special promotions without having to make an initial deposit! And because you won't play for real money, but Twists instead, you can often bet courageously and free of charge, as well as play without a care in the world! Themed leaderboard games are very popular in our Online Casino, which doesn't come as a surprise because the chances of winning are excellent! The slot machine Faust has in the past also featured in one of these promotions where you collect points with spins to earn a juicy bonus, provided you come out on top. Just one tip: pay frequent visits to the homepage of GameTwist to stay up to date on our promotions! We wish you devilish fun when playing Novoline Faust! And by the way: you can play our slots (regardless of whether they are from Novomatic or other top providers) on your computer as well your smartphone/mobile or tablet. That way you can immerse yourself in the exciting world of our Online Casino and chase huge winnings whenever and wherever the internet is available! So, ready to play Faust online and, with a little luck, grab the opportunity to take home your biggest win so far? We’re crossing our fingers for your casino adventure! And don't mind the devil: he is much more likeable in Novoline Faust and other slot machines at GameTwist than in Goethe's Faust.